Reddish alkali liquid formulated with alkalines, surfactants, wetting agents, dispersants and solvents. 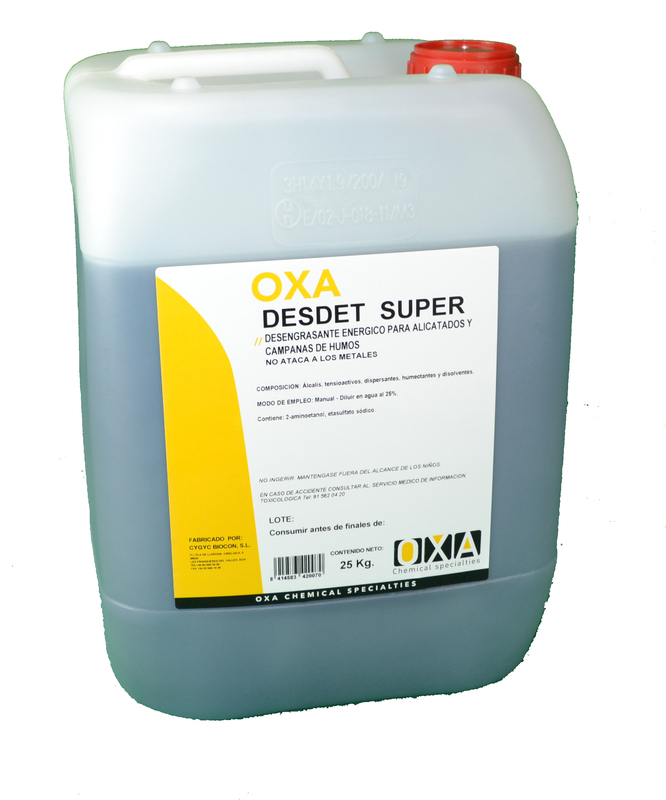 The OXA - DESDET SUPER is a strong degreaser formulated with a series of special components that allow a good degreasing and cleaning, easily removing the accumulated fat, Rebel burned fat and all kinds of dirt. It is not flammable, doesn't attack metals.